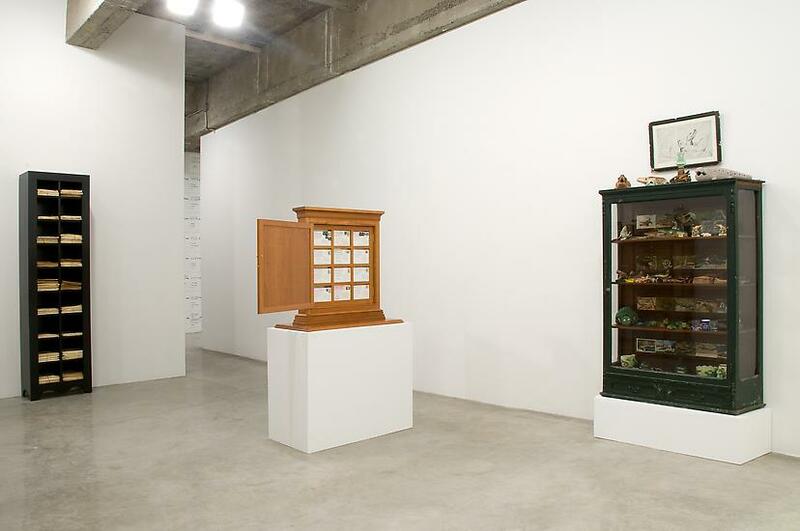 Tanya Bonakdar Gallery is very pleased to present its fifth solo exhibition of Mark Dion's work, an installation of sculpture from the artist's ambitious recent project of exploration, history and art entitled Travels of William Bartram—Reconsidered. 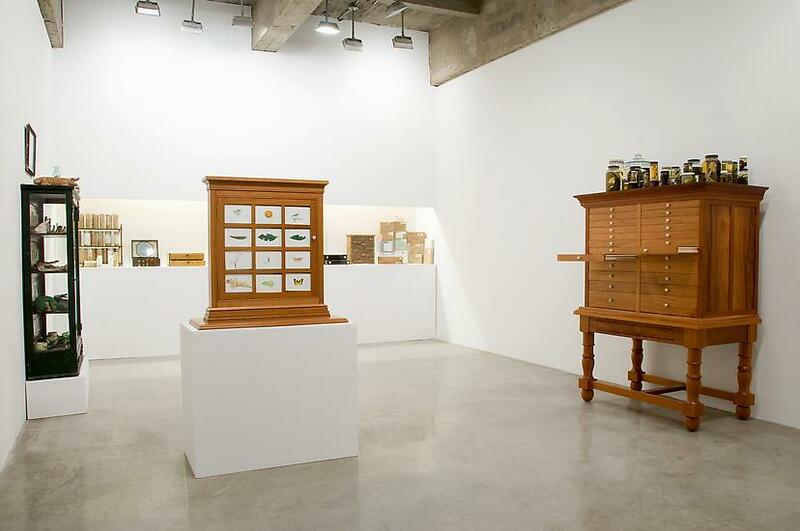 Investigating the visual representation of knowledge and the natural sciences, and concerned with the historical methods of representing and organizing the world, Mark Dion employs pseudo-scientific and museological conventions of investigation and display in order to subvert previously held ideas and practices. 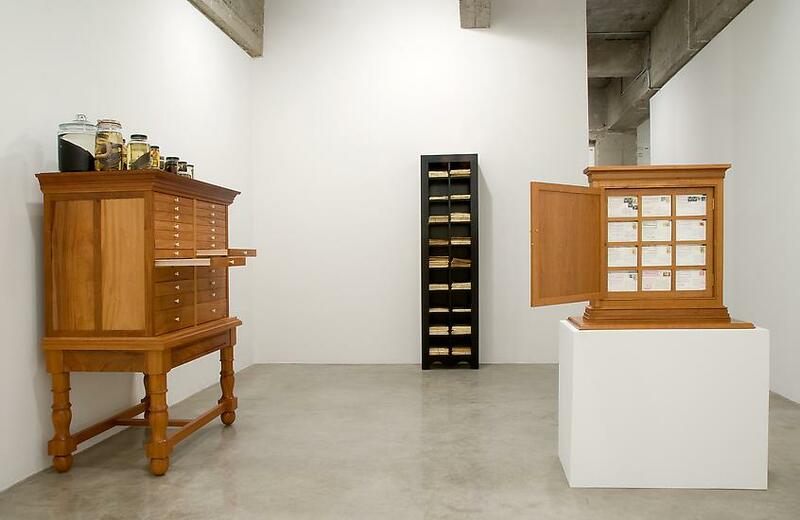 The act of participation, or the role play of a scientific, pastoral or naturalist endeavor has been a fundamental fascination within Dion's practice, and has played a major role in a number of his most significant projects over the past two decades. Travels of William Bartram—Reconsidered is such a project and represents Dion’s extensive travels throughout the southern United States. In an effort to examine the history and culture of 18th century American naturalist, botanist and explorer William Bartram, Dion followed the approximate course of Bartram’s four-year expedition through eight southern colonies to take notes on the Native Americans and the indigenous flora and fauna. Using the original travel journals, drawings, and maps, Dion initiated his own, modern day, exploratory journey. Often traveling by horseback, canoe, and Jeep, Dion collected, scavenged and acquired numerous artifacts, specimens, and objects of material culture and mailed them back to Bartram's Garden, the historic 18th century home of William Bartram, and his father John Bartram in Philadelphia. 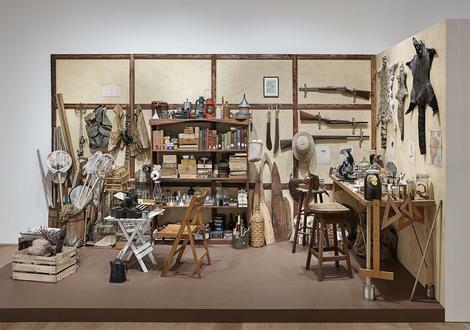 Combining the physical beauty of history and science with the detritus of contemporary and past material culture, thousands of objects are beautifully and painstakingly categorized and arranged. Organized in various presentation cases and cabinets, according to form, material and subject, little distinction is given between high or low, or any inherent sense of value. Rather, Dion presents the display itself as a kind of democratizing filter, alluding to the wonder and magic of the every day. Found man-made elements include an extensive collection of toy plastic alligators, bottle caps from the decades between Bartram's and Dion's respective travels, cocktail umbrellas, pencils and buttons. Other shelves and drawers present organic specimens such as acorns, seashells, and pressed and dried vegetation harvested from the road and stacked high on a tall custom-built cabinet. 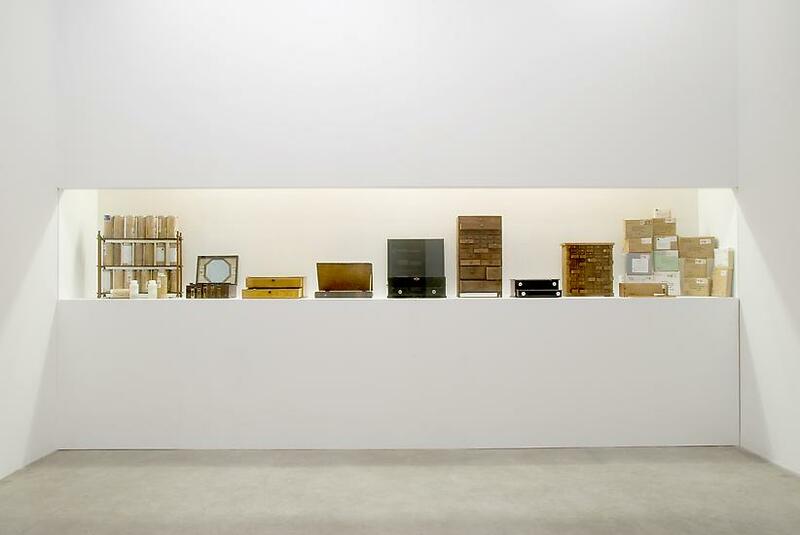 As with all of Dion's work, however, it is truly the artist's selection and presentation that inspires the viewer; offering a fascinating investigation into the inherent contradictions between the artifact and the context in which it is displayed for our consumption. 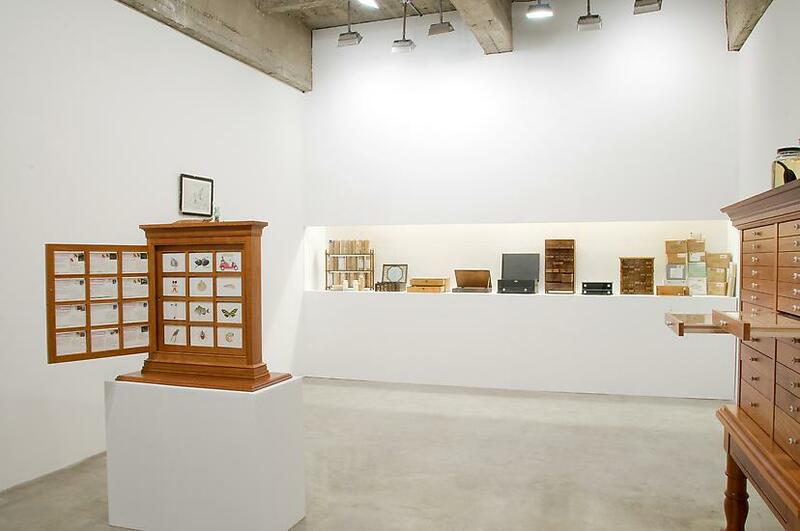 These wondrous sculptures acknowledge conventions as wide ranging as correspondence art, the great American tradition of the travelogue, cabinets of curiosity, and the surrealist’s fascination with exalting the ordinary. Presented in an intimate arrangement the installation becomes a room of wonder that speaks of an individual and collective past. The provenance of each of the objects culminates in a diverse mosaic of narratives. Overall, the installation is a monument to Dion’s travels and the complexity of the relationship between nature and culture.